This variety of sponge looks similar to the all-gauze variety with its cheesecloth-like outer layer, but it contains a layer of pure cotton on the inside. 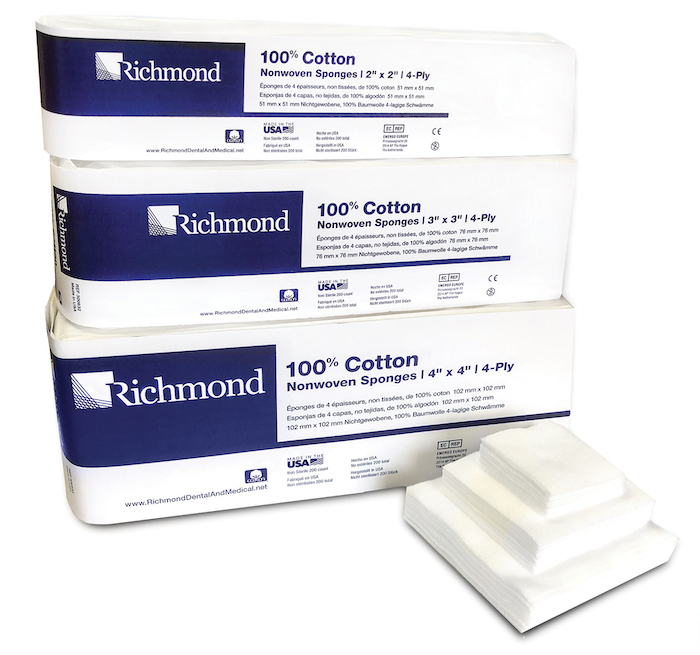 This provides extra absorbency, as well as additional patient comfort. The cotton-filled sponge is dentists’ traditional, reliable choice.